Amidst a crisis of uncertainties, Millennials around Europe are feeling disoriented in a paralyzed Union which has increasingly been held hostage of extremism and ravaged by centrifugal forces. Moreover, different types of emergencies have revealed a lack of sense of community, of awareness on European matters. Yet most importantly the element which seems to be missing concerns the lack of a shared vision for the future. A group of fifty young citizens from all over Europe (and beyond), met in Siena in May 2016 for 5 days of group-working sessions. 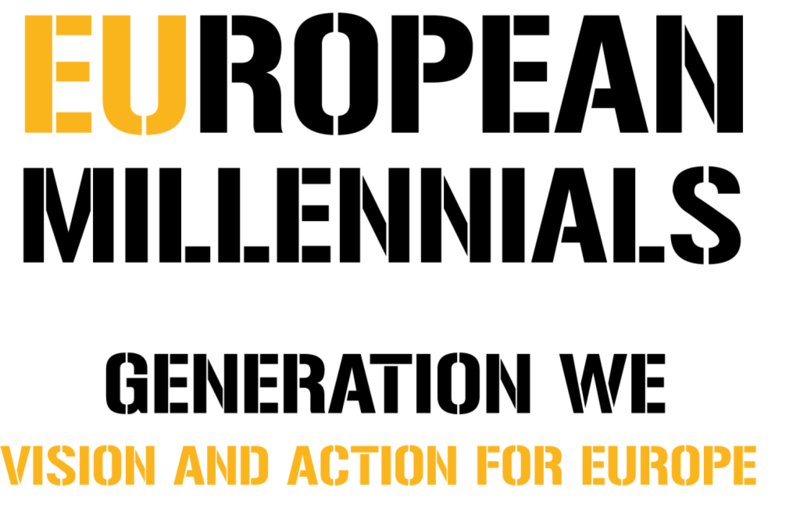 We challenged the common narrative about European Union that starts with the buzzword “crisis” – whether it is the social, economic or related to immigration. Looking at numbers and statistics, we realized that over half of the Millennials trust the European Union, almost all of them use the Internet on a daily basis and a quarter of them is involved in volunteering. None of the previous generations have been given the same opportunities to shape their future, express their ideas, travel and share different cultures and lifestyles. This is why we defined ourselves not as the generation Y but as GENERATION WE. 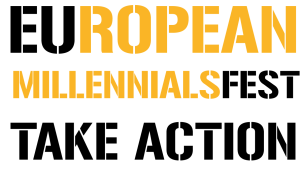 We want to adopt a creative approach, to map the communities and all the networks that may share the mission of a more united, inclusive and sustainable Europe and a more engaged community of European Millennials. Empowering Millennials and addressing their aspirations through innovative initiatives and projects supported by the advanced technology and digital tools of the present times. GENERATION WE demands change but also realizes that change does not need to be asked for, it is there already! We want You. We want to activate and boost synergies between ongoing initiatives and activities (the so-called “best practices”), whereby the “WE” factor is already turned into everyday realities. We are considering a wide range of actions, all featuring the hallmark of a strong attitude for sharing (from home-sharing to peer-to-peer learning, from digital enterprise to the newest jobs, from last-generation rights to social mobility). Making together (Work, Start-up, innovation, creativity, ecc..). The mapping process will be carried out by a specific team that, supported by 50 SIYLAB Millennials, will pinpoint up to the first 100 European communities and their best practices. As a result, we will transform the Santa Chiara Lab in a permanent workshop, a transparent laboratory open to all, a place where diverse and various communities will be able to discuss, imagine and create together a vision, and undertake a mission, for a Millennials’ Europe. For two whole days (Friday 30 September and Saturday 1 October) the University of Siena will host the first European Millennials Fest. The representatives of the first 100 mapped communities – be they emerging or well-established associations and groups, will gather and join forces in Siena. The meeting is intended to serve as a plenary springboard, for a project that is going to develop over the subsequent months.